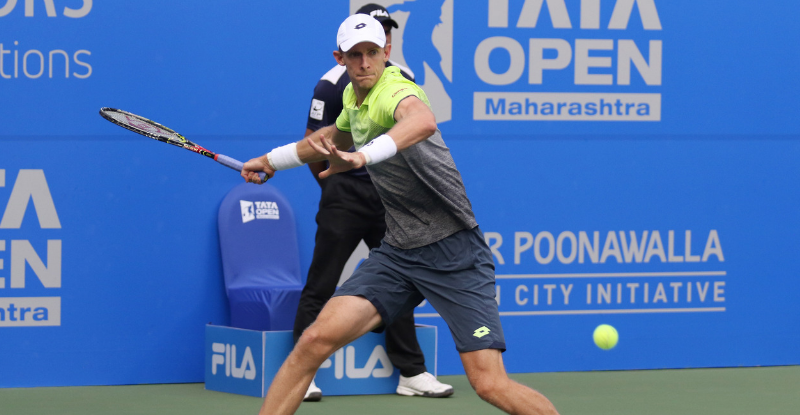 Kevin Anderson, 2018 runner-up of Tata Open Maharashtra, has confirmed his presence for the second edition of the event. The World no. 6 is expected to be a top draw at the ATP 250 event to be played at the Mhalunge Balewadi Stadium. The 32-year old just became the first South African in over two decades to qualify for season-ending ATP Tour Finals after beating Japan’s Kei Nishikori in the finals of Vienna Open on Sunday. On the back of his fifth ATP title, Anderson rose to World No. 6 joining Rafael Nadal, Novak Djokovic, Juan Martin del Potro, Roger Federer and Alexander Zverev in qualifying for the elite event. Prashant Sutar, Tournament Director, Tata Open Maharashtra was ecstatic after bringing back the in-form South African for the event. “I happened to meet Kevin during Wimbledon and he expressed his willingness to come back to Pune as he was happy about how our event was conducted overall. We are delighted to have him back and will be one our star attractions for this year’s tournament,” said Sutar. Last edition, the South African was one of the top players to have descended in Pune along with Marin Cilic, Simon Gilles among others. In 2018, Anderson peaked at his career-high ranking of No. 5 on July 16, becoming the highest-ranked South African in ATP Rankings history. He also advanced to his second Grand Slam final at Wimbledon where he lost to Novak Djokovic in straight sets. Enroute to the finals, Anderson beat John Isner 26-24 in the semis in the fifth set to become part of 2nd-longest Grand Slam match ever. But the highlight was his quarter-finals win over No. 2 Roger Federer where he rallied from two sets down and saved one match point for his biggest career win. He also made it to the finals of 2018 Abierto Mexicano Telcel presentado por HSBC Open (ATP 500) losing to Juan Martin Del Potro. A couple of weeks before that, he won the New York Open (ATP 250) beating Sam Querrey in the finals.